Fez - Two American film celebrities, Bill Murray and Willem Dafoe, and Moroccan cinematographer, Kamal Derkaoui, are among those to be honored at the 15th Annual Marrakech International Film Festival to be held December 4-12. Others include Korean filmmaker Park Chan-Wook and Indian film star Madhuri Dixit. Amjad Hemidach is a teacher of English. Fez – Two American film celebrities, Bill Murray and Willem Dafoe, and Moroccan cinematographer, Kamal Derkaoui, are among those to be honored at the 15th Annual Marrakech International Film Festival to be held December 4-12. Others include Korean filmmaker Park Chan-Wook and Indian film star Madhuri Dixit. 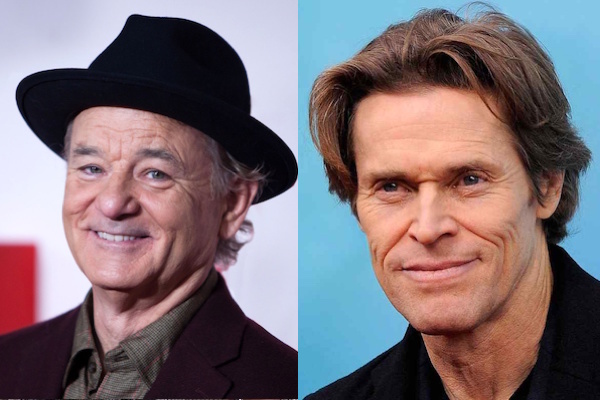 Bill Murray is a comedian actor and director who has played important roles in successful comedy films. He is famous for his sober and moving performance in “Lost in Translation” by Sophia Coppola, which left an indelible impression on cinema lovers. The iconic figure of American cinema recently shot ‘’Rock the Kasbah” in Morocco. The Festival will also pay tribute to American actor Willem Dafoe who has played in more than 80 films including “The Last Temptation of Christ,” also filmed in southern Morocco, and ‘’Spider Man 2″ in which he played the Green Goblin. Dafoe was nominated for Academy Award Best Supporting Actor in Platoon (1986) and Shadow of the Vampire (2000). The Festival will also celebrate Park Chan-Wook, a film-maker, director, screenwriter and producer who received the Cannes Grand Prix in 2004 for “Old Boy.” He is also the author of “Stoker,” a film released in 2013. The Festival will also honor Madhuri Dixit, an Indian dancer and actor who is a key figure in Indian cinema. Dixit is a national hero in her country for her role in “Devdas” which met with great success internationally. Morocco will be represented by cinematographer Kamal Derkaoui. Derkaoui was born in Poland and trained at the National Film Institute of the Russian Federation (VGIK). He lives in Canada, but is best known for his talent in Morocco.